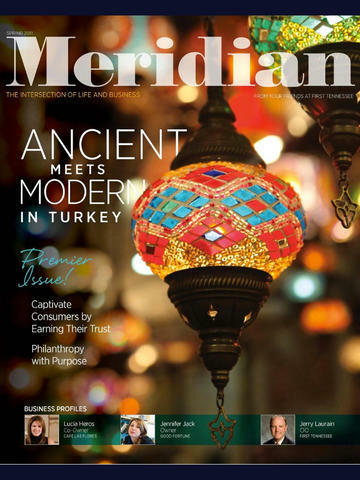 First Tennessee’s Meridian magazine provides valuable information in the areas of business and personal finance combined with sophisticated lifestyle and leisure content that provokes a sense of adventure and experience. 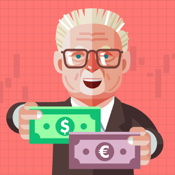 Designed with your financial and lifestyle interests in mind, Meridian bridges the gap between professional achievements and personal aspirations by offering engaging content to enhance your business coupled with experiential stories set in some of the world’s most unique locales. 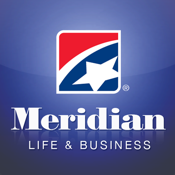 And now—through the Meridian app—the same great information is available in the palm of your hand.